I think Peter Sellars is one of the most imaginative and forceful directors working today, so I was thrilled to see that his production of Purcell's The Indian Queen was running at the ENO. Sellars isn't afraid to announce his presence, which he did after the initial masque of Mayan-esque dances with a company of soldiers rushing the stage, dressed in fatigues and wielding AK-47s. I wasn't aware of this until after the show, but the Sellars version is a wholesale rewrite. It incorporates writings of the living author Rosario Aguilar, borrows music from dozens of other Purcell works, and changes the story from a Peruvian-Mexican conflict to a colonialism situation: Conquistadors versus Mayans. More knowledgeable people have commented and reviewed the production (predictable, reviewers love it or, more likely, hate it) in the context of its history. Free of the baggage (or is it "ignorant of the context?) I found myself profoundly moved. Sellars couldn't be more on-the-nose with the points he makes. A Christian hymn of worship is sung by a chorus of Mayans encircled by armed soldiers. A conflicted character is grotesquely fondled. The heroine dies, ascending bathed in white light. But they're always legitimate points, and thought-provoking, and immediate. ...Not to mention surrounded by music of incredible beauty. 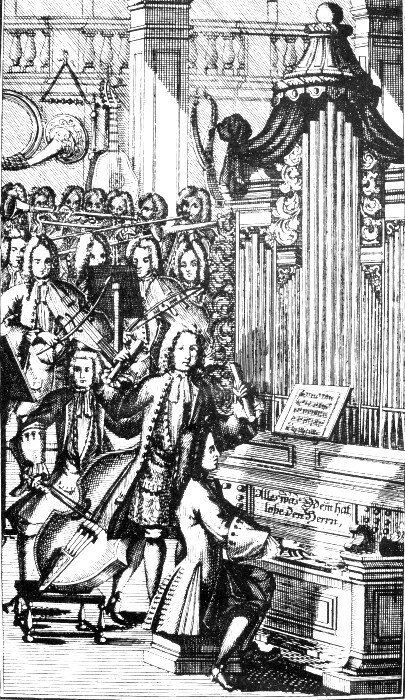 The modern-instrument orchestra was led by seasoned HIP guru Laurence Cummings, and acquitted themselves with a stylishly HIP-tinged performance. They were augmented by a healthy number of dedicated early instruments - two harpsichords, organ, gamba, two recorders, and three theorbos - which added a good twang to the sound in the hall. All the singers were at a high level, but I couldn't believe what I heard from Lucy Crowe, who gave an absolute masterclass on messa di voce in her extended solos. My opera buddy and I turned to each other after O Solitude with wide eyes and incredulous smiles. Stunning. More random thoughts below! I'll admit it - I got teary-eyed. Yay opera! This is the second London concert where I've felt my "passion moved" - the aim of rhetorical musicking. It's an incredible experience to willingly surrender your emotions and allow them to be pulled and manipulated. Nobody does laments like Purcell. Striking, creative pauses in some pieces - were those Cummings, or Sellars? Everyone eats ice cream at intermission! This is so cute. Exciting times - since the last post in November, I've had a brief but intense dalliance with a modern string quartet, A Far Cry was honored with a nomination for a small ensemble GRAMMY award, and I became engaged to be married! Life has been understandably (I hope) hectic so I'm almost relieved to find myself in Europe for the next 10 days, ready to dive into the HIP scene. Last night I attended a ravishing performance of mostly Monteverdi at Wigmore Hall in London. Robert King directed The King's Consort (get it? ), which consisted on this occasion of eight singers, two violinists, two pluckers plucking chitarrones, violone, and organ. Variety was added to the sound by alternating between works that called for different groups of singers and cleverly interjecting two Andrea Gabrieli intonations - short solo organ works that led directly into the next Monteverdi selection. I particularly loved the Gabrieli idea - rather than a sombre, still experience, the other musicians used the organ music to readjust their setup, move chairs, even quietly check tuning etc. I couldn't believe how thoroughly that simple detail transported me to the feeling of being in a church - and what could be more appropriate for a concert of Monteverdi sacred music? A little genius. I finally understand violin ornamentation over massed vocal approaches to big cadences - the effect is like popcorn, and strings together big block chords. Done well as it was by Mr. Edgar and Mr. Daniel, it adds an element of ecstatic energy that can be almost overwhelming. Bravo! Charles Daniels was a standout tenor with a couple of solo pieces. Great variety of articulation, vocal timbre, and just enough rubato to earn a grin from Mr. King (who was a seated audience member during the two solos). One of the basses fell ill and was replaced the day of the concert. I was impressed, given the reputation of London musical groups, with the implication that the ensemble had been rehearsing prior to the day of the concert. Wigmore Hall is a really fun venue that makes the most of its tiny size, and rewards with a beautiful, honest acoustic. It's a little bit like Weill at Carnegie.